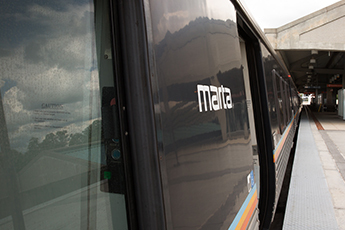 Iconic landmarks are all around the city of Atlanta, and they're never far from a MARTA bus stop or rail station. Even if you've called this city home for years, taking a day to see the sights is something everyone should do from time to time. Here are a few destinations we'd recommend checking out. 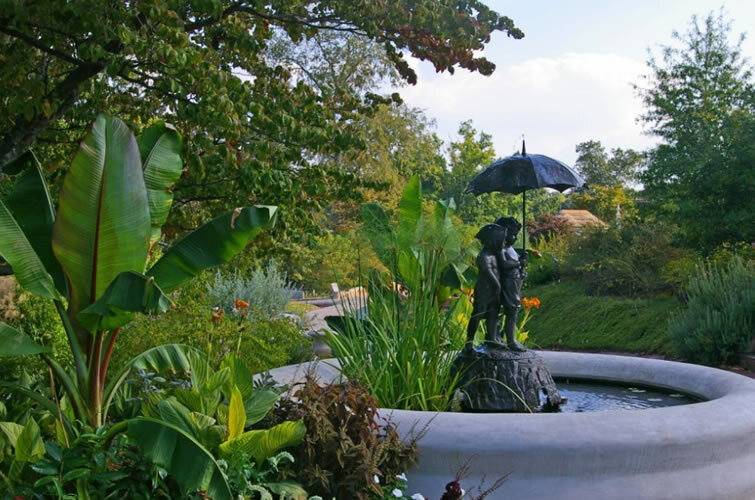 The 30-acre botanical garden is located in Midtown just down the street from Piedmont Park. 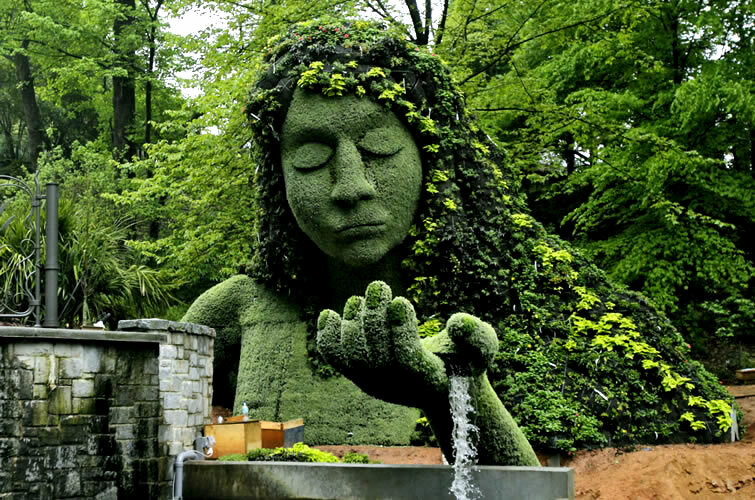 There are a number of themed gardens, canopy walks and a fine-dining restaurant in the garden. Visit some of the signature plant collections, including the Desert House, the Tropical Rotunda and the Orchid Display House. 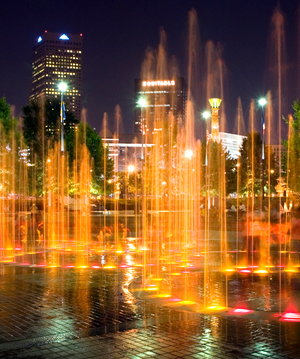 Located in the heart of downtown Atlanta, this is one of the most beloved parks in the city. The park’s fountains and lush green spaces make it a popular location for festivals, ice skating and charity events. 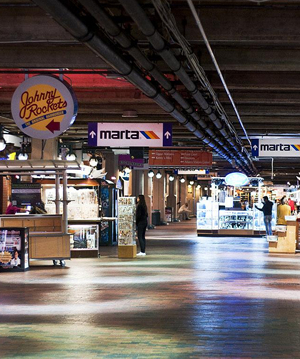 It’s also conveniently located next to the Georgia Aquarium, CNN Center and Philips Arena for a full day in the city. 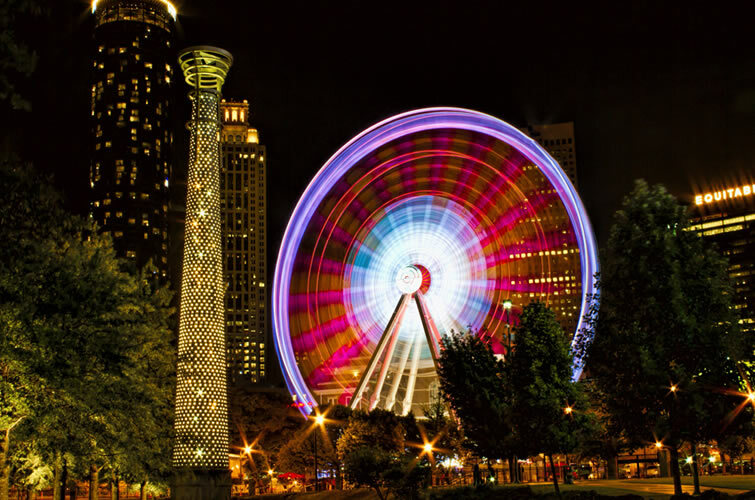 Cross the street and take a ride on Atlanta’s SkyView ferris wheel for breathtaking panoramic views of the downtown skyline. 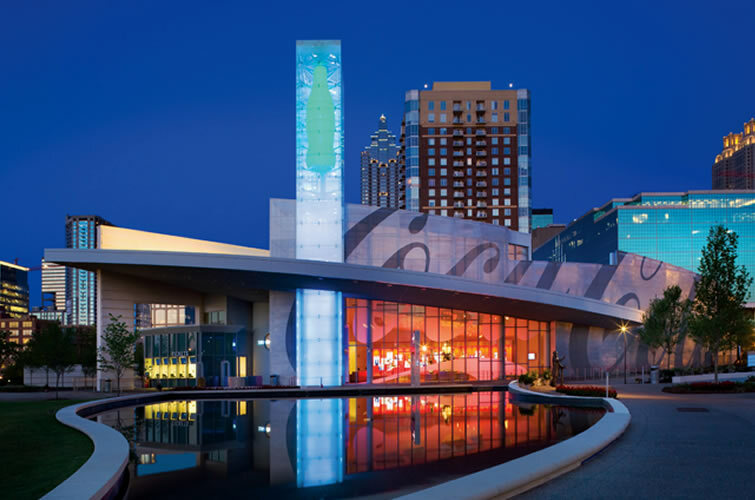 The World of Coca-Cola is an Atlanta favorite. This museum features interactive exhibits, historical artifacts, a very large polar bear and an infamous tasting room where you can sample soft drinks from around the world. Try Italy’s notorious Beverly beverage if you’re feeling adventurous. The Georgia Aquarium is a public aquarium in Atlanta, Georgia, USA. 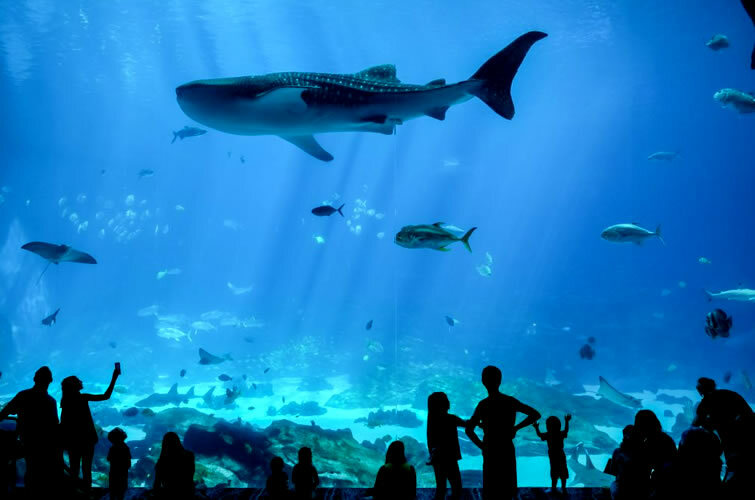 It houses more than a hundred thousand animals and represents several thousand species, all of which reside in 10 million US gallons of marine and salt water. 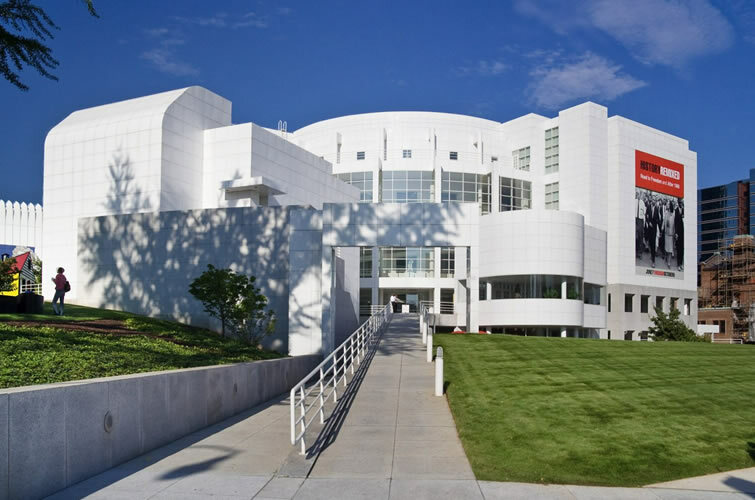 Home to works by some of the most influential artists in history, the High is the leading art museum in the Southeast. For a full day of art and culture at the Woodruff Arts Center, stroll through the halls of the High, then hit up the nearby Atlanta Symphony Hall or the Alliance Theater for an evening show. Since 1891, America’s favorite fizzy drink has been an integral part of Atlanta culture and economy. 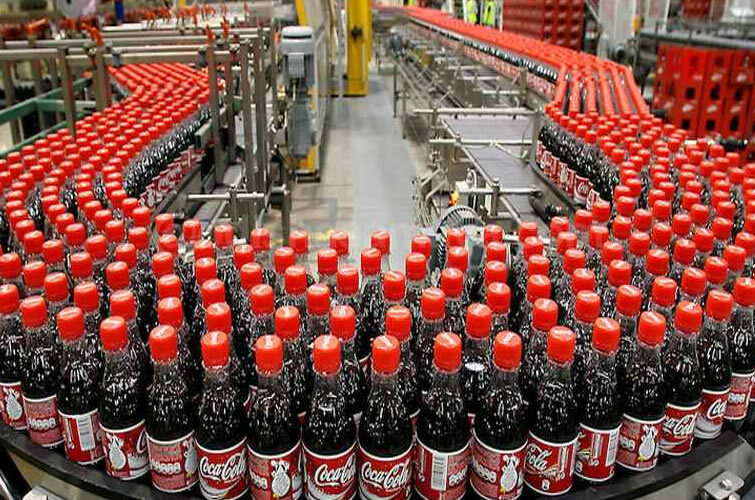 Take a look at Coca-Cola’s historic headquarters, which represent a pivotal change in the Coca-Cola Company’s evolution into a mass-marketed production. 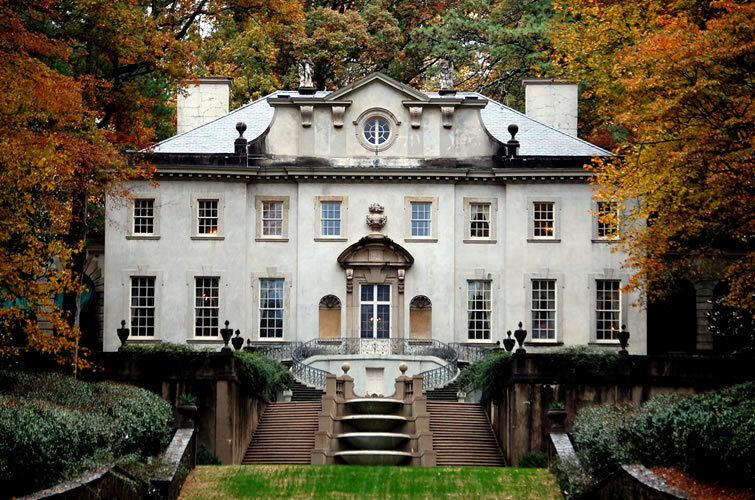 Designed by famed Atlanta architect Philip Trammell Shutze, the Swan House is a classically-styled mansion built in 1928 for the Edward H. Inman family. Walking through the home's gardens and historic rooms is a great way to spend the day. Founded in 1850, Oakland Cemetery is filled with sprawling oaks and magnolias and is the final resting place for notable Atlanta legends, including Bobby Jones, Margaret Mitchell and Maynard Jackson. It's home to some stunning architecture and near a handful of favorite local eateries. What’ll you have? 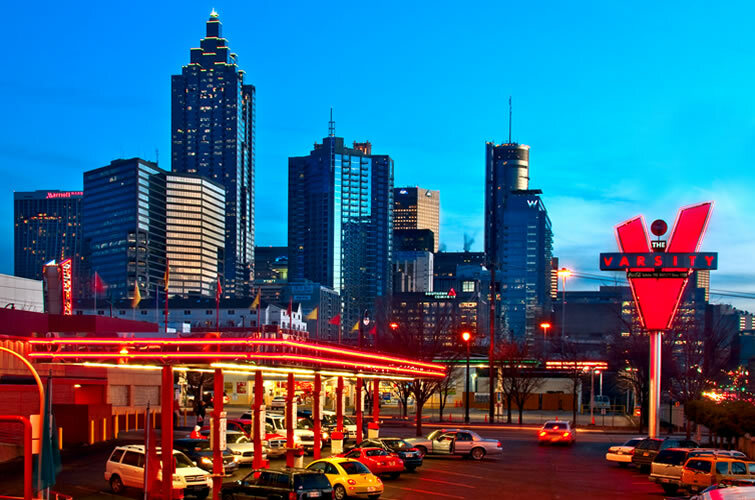 This Varsity location has the world’s largest drive-in. Established in 1928, this long-running drive-in chain serves up burgers, hot dogs, fries, shakes and other American classics. Edgewood Ave. and Hilliard St. 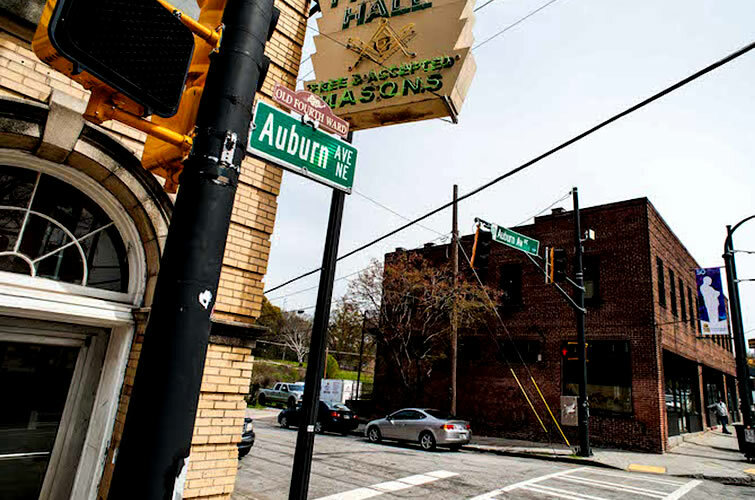 Throughout the 1900s, this historic African-American neighborhood was home to some of the first major black businesses in Atlanta and the country. Today, this neighborhood is the embodiment of old-meets-new, complete with rich history, vibrant street art and a burgeoning food-and-drink scene. Take a walking tour of the sites and artwork along Edgewood Ave. and stop at some of the city’s best restaurants and bars along the way. As the only Georgian ever elected president (so far), it’s no surprise that Atlanta loves Jimmy Carter. 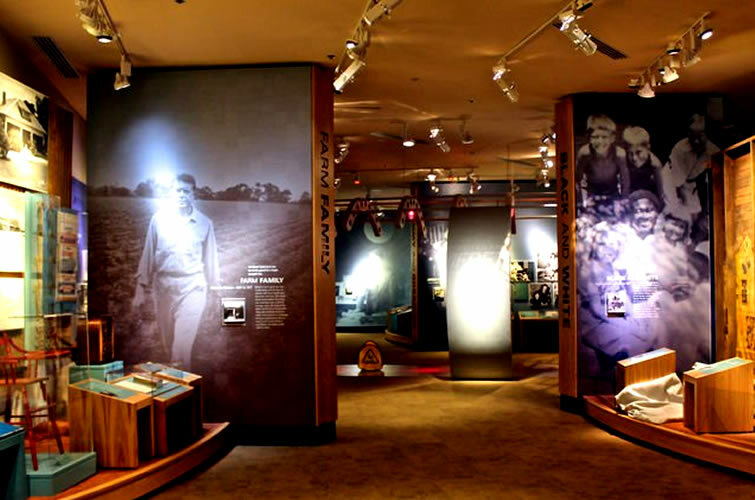 While the former governor of Georgia continues his mission of human rights and international peace at The Carter Center, the Jimmy Carter Library and Museum gives visitors an inside look at the president’s life and accomplishments. 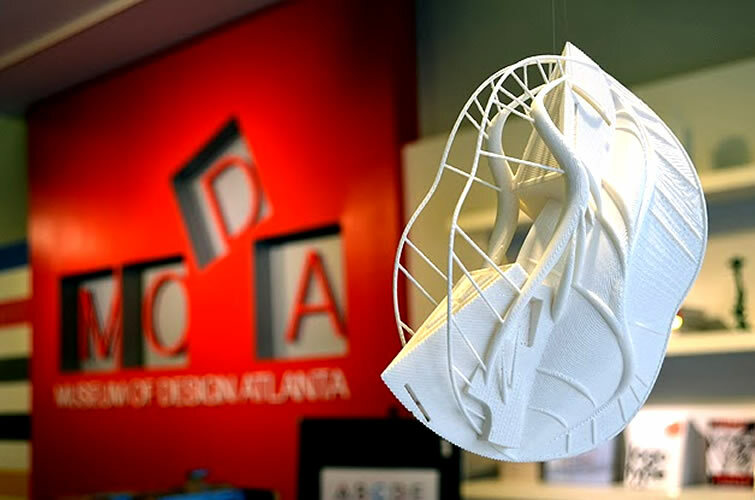 MODA is the Southeast’s only museum dedicated to all things design. From coding to crocheting to urban planning, the museum’s exhibits explore innovative ideas from around the world. MODA also offers events and workshops that help adults and children bring their design dreams to life. 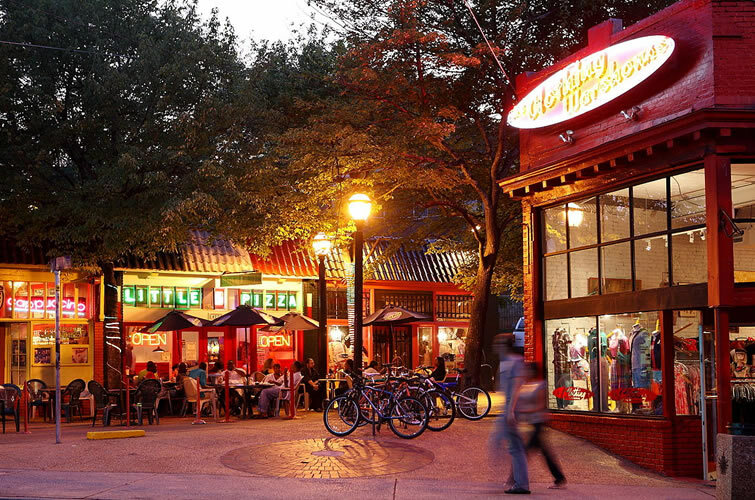 As the unofficial arts district of Atlanta, this creative neighborhood is a favorite among locals and visitors alike. The neighborhood’s eclectic shops boast some of the best bars, food, entertainment and vintage finds in town. And in the fall, the weirdest and wildest of Atlanta turn out in droves to attend the famous Little Five Points Halloween Parade. 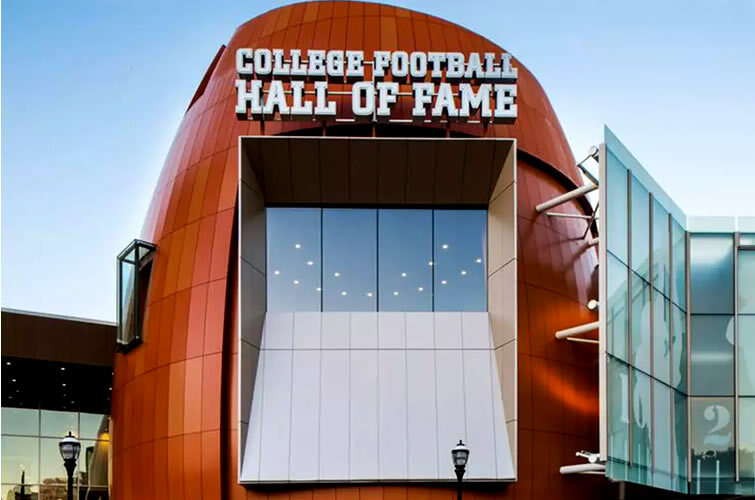 You’re not a true fan until you’ve visited the College Football Hall of Fame. Over 50 exhibits explore the history of the nation’s greatest rivalries, players and coaches, spanning from the sport’s early beginnings to present day. 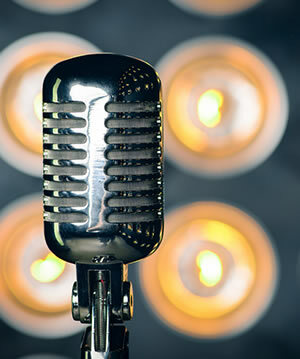 Check out the sights and sounds behind this city's music.